It was refreshing to use my brain while watching a movie and finding out that the moviemakers have also done the same while making it. Not flawless, but completely entertaining, Johnny Gaddar is a must watch! Story - brilliant, colors - vibrant, camerawork - creative, sound - unobtrusive, editing - slick, entire team - smart! Sorry, director saahab, I have run out of adjectives, so choose a superlative for yourself and I’ll agree. What do I say? Where do I start? I must admit, it is the most difficult to write about a suspense thriller “without giving the movie away”. Any specifics that I would like to talk about will contribute to you knowing a bit about the movie. And that would be a crime in this genre. So, here is my attempt at being as unambiguous as possible. This movie will be talked about a lot for the stylish homage the director pays to the people/styles of movie-making that have inspired him. And for a good reason too. The beauty with which the tributes have been interwoven with the narrative is not something one should write or read about. It has to be watched and applauded. Watch out for the way the subtle tribute to Anand has blended with and become a part of the story. Acting - one of the departments missing from the list above - is not at its best. Dharmendra deserved far fewer lines considering his dialogue delivery was rather monotonous. Neil Nitin Mukesh is quite flat in some scenes, but overall, he has grasped and enacted the nuances of his character really well. For me, Vinay Pathak was the show stealer. In general, the versatility of this actor is just incredible! Dialogues - my disappointment with this area might have more to do with the expectations set by the first 15-20 minutes of the movie. The general mysterious tone set in the beginning is missing at certain points later on. Especially, in the climax, keeping the dialogue enigmatic would have had much more impact. But, I am sure it was a balance the director must have struggled with - leave it to the audience to decipher or spoon-feed them. What impressed me the most was how much I enjoyed the movie despite being a little dissatisfied with the two main departments of the movie - the two most visible ones. 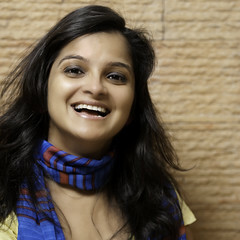 Though acting and dialogues are not necessarily the selling points of a movie in this genre. Just goes to show what a long way treatment of material can take a movie. Four members of smuggling gang have a big job at hand. They have planned well to execute it. How the execution takes place is what the movie is all about. The different styles of camerawork used to differentiate between different segments of the narrative. Yes, it is a regular technique to do that. But, how the styles flow into each other without being overt is where the finesse of the makers lies. The drone of a tone used by the police announcer on the wireless system is hilarious. He is giving news of accidents, etc in the most unemotional tone, signifying the triteness of it all. The titles of the movie. A wonderful tribute to the genre and style of the 70s - in more than one ways. Thank you, Mr. Cinematographer only your skill could make Pune airport look so pretty. The way Vikram’s character smartens up and gains confidence as the movie progresses. The way the intermission shows up on the screen - if a cinematic liberty has to be taken, this is how stylishly it should be done . The camerawork from the water tank’s point of view in a very important scene. The way the breaking of the glass is captured when a coffee table breaks. Dharmendra! Him, the lines given to him, the actions given to him - judging the authenticity of money by listening to the flicks of the currency bundle? Please!! Why would Vikram sit on the side of the train that is closer to the platform if he did not want to be discovered by the people on the platform? How does Prakash know they are ‘his’ counterfeit currency notes? Meetu, I have just one word for your web site. Fantastic! 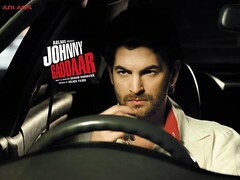 I just watched Johnny Gaddar and just searched it on web in a dazed state. I landed on your web site. Some of your observations I agree with and some I disagree with. But best part is the observations you make about camera angles and cinematography that I can never make when I watch a movie for the first time. I can analyse only in second viewing. But you could do it and put ir comprehensively on your blog deserves a BIG thumbs up! Nice post. I really appreciate your review about this movie. Looking forward to watch this movie. yts movie has given this movie a Yay! Thumbs Up(Good one). yts movie has posted 1 comments and has rated 1 movies. See yts movie's page for more details.